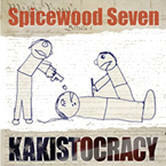 New CD to be release in September 2008! 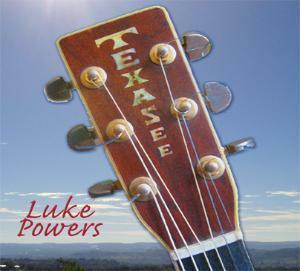 For album information and free mp3 downloads visit www.texasee.com. The CD features Tommy Spurlock, Kenny Vaughan (Americana Music Association Musician of the Year for 2007), Suzi Ragsdale, Jamie Oldaker, John Davis and Sam Powers (of Superdrag). It's acoustic and electronic Americana music with a little "sling-blade" thrown in. "Mr President" on Neil Young's Living With War website. Features Tommy Spurlock, Luke Powers, Jamie Oldaker on drums (Eric Clapton), Elana Fremerman on fiddle (Bob Dylan, Hot Club of Cowtown), Rosie Flores, Brennen Leigh and Leon Rausch (Bob Wills and the Texas Playboys) on vocals. Songs include "Iraq Soldier Blues," "21 Guns," and "Going Down to Crawford Texas (To Talk to the President)." Americana Music for an America gone horribly wrong. Phoebe Claire Publishing is devoted to poetry, songwriting, scholarly research in folklore and creative writing. Luke Powers is a poet, singer-songwriter and folklorist who works in Nashville, Tennessee. The site contains online poetry, illustrated lyrics and audio files for download. He has collaborated with singer Sandy Madaris and musician/producer Tommy Spurlock (who has worked with the Band, including Garth Hudson and Rick Danko, Highway 101, David Olney, Chip Taylor, Rodney Crowell, Shania Twain, David Ball and many others). Spurlock has collaborated with The Band's Garth Hudson and the Flying Burrito Brothers Sneaky Pete Kleinow on an album titled Burrito Deluxe (which features "G.P." a song written by Luke Powers and Spurlock on Gram Parsons). Powers has written songs with Earl Bud Lee (author of "Friends in Low Places") and Mark Collie. Powers has also collaborated with Spurlock, Bob Bradley, Marcus Hummon, Joe Croker, Anthony Crawford, Garth Hudson, his brother Sam Powers (who has played with songwriter John Davis in the band Superdrag and Guided by Voices) on an album titled Picture Book. Powers' songs "I Saw John Kennedy Today" "Driving with My Demon in the Deep South" and "Beautiful Life" from Picture Book are available for download on this site. "I Saw John Kennedy Today" takes Kennedy conspiracy theory to a new level as it suggests that JFK faked his own death in order to roam the country in a pickup truck cruising for chicks. A link to the site is available on Kennedy Conspiracy site http://jfkennedy.8m.com/. Powers has also published poetry on websites such as The Vanderbilt Review, Trans: A Journal of Spiritual Discovery, Number One, In Other Words, Relationships, The Brownstone Review, Echoes: A Magazine of Creative Communication, Whispers in the Wind, Versus, The Cotton Boll/Atlanta Review. Other poems have appeared in online magazines such as the Muse Apprentive Guild (MAG), Prairie Poetry http://www.prairiepoetry.org, The Art of Poetry http://www.ariztlan.org, Conspire http://www.conspire.org, The Melic Review http://www.melicreview.com and Poetry, Art & Word http://www.poetry-n-word.com. Powers has also contributed a memory of his encournter with Johnny Cash in an essay titled "Luke Powers: A Surreal Moment with the Man in Black" which can be found at the Nashville Tennessean newspaper website http://www.tennessean.com Luke was born in Chattanooga, Tennessee, in 1962. He attended the McCallie School, graduating as valedictorian in the class of 1980. He attended the University of North Carolina at Chapel Hill as a John Motley Morehead Scholar, graduating with Honors in English in 1984. He continued his studies at UNC, receiving a Master's degree in Folklore in 1986. He then attended Vanderbilt University as a University Fellow. Nelson's ranch. He put together the team: Jamie Oldaker on drums (who played with Eric Clapton in the '70's), Elana Fremerman on fiddle and vocals (Hot Club of Cowtown, Bob Dylan), and Austinites Rosie Flores, Brennen Leigh and Jane Bond on vocals. Tommy even pulled in his old pal Leon Rausch (of Bob Wills and the Texas Playboys) for "Crawford Texas" --a song about taking a ride down to W's ranch for a little face-time with the President. "Mr President" ponders the fate of a nation led by a born-again Christian ready to lead true believers into the apocalyptic fire. "Trumpets Goin' Round" portrays the US as a modern day ‘ Jericho'- building walls of exclusion-destined to come tumbling down. The CD is slated for release on Sept 12, 2006 under the imprint of Austin Records, which has produced Texas talent from Stevie Ray Vaughan to Omar and the Howlers. 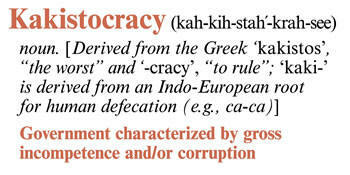 Kakistocracy is the first release of the revitalized label and hopes to make the country think, and maybe even dance. lake. He has also edited and annotated an online edition of of newspaper essays The Fountain Square Conversations by Emma Bell Miles, written in 1914 and published by the Chattanooga News.